I’ve written about this before, but, with Pete Seeger’s death on Monday at the age of 94, I wrote a little piece for Tablet Magazine on the impact of Seeger’s 1964 concerts in communist Czechoslovakia on the development of the Czech bluegrass scene — the Czech Republic probably boasts more banjo-players and bluegrass bands per capita than any other country — the new documentary film Banjo Romantika, in which I appear as a “talking head,” goes into this phenomenon. My Tablet piece was pegged not just to Seeger’s death, but to the fact that over the weekend I took part in the launch of a new CD by the Czech bluegrass-fusion band The Malina Brothers — banjoist Lubos, guitarist Pavel, fiddler Pepa and non-brother bassist Pavel Peroutka, all of whom are veterans of the scene and play in other major groups. Lubos, Pavel and Pepa visited me in Italy last year and gave a house concert to enthralled neighbors. 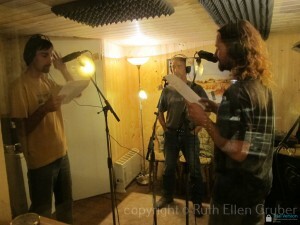 Back in September, I helped out in the studio in Prague with the band’s English language singing. 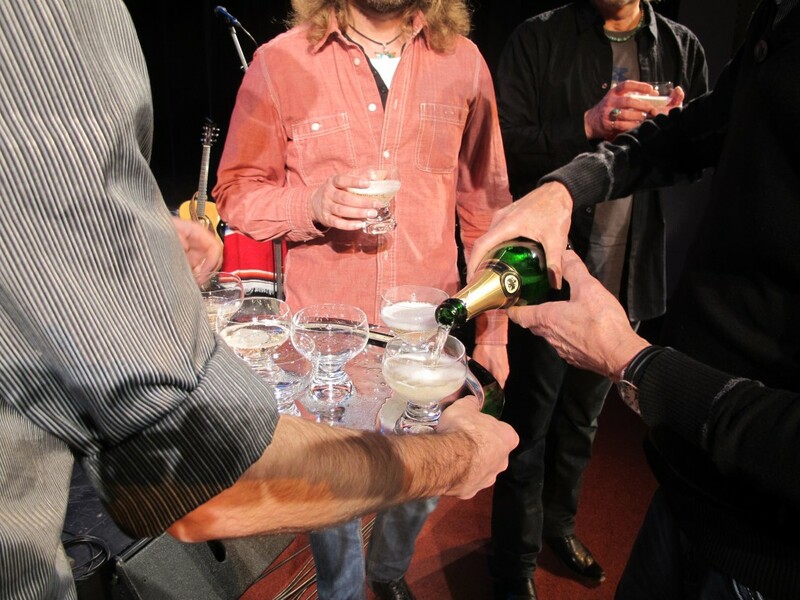 On Sunday night, at a sold-out concert in the brothers’ home town of Nachod, in northern Bohemia, they brought me up on stage for the “krest” — christening — to toast the new release with sparkling wine. Seeger’s 1964 tour was booked by the official Czechoslovak concert agency. Pete’s longtime friend Gene Deitch, a Chicago-born, Academy Award-winning animator and illustrator who has lived in Prague since the 1950s, organized the Prague concert. Deitch, now 89, also recorded it and it was later issued as a CD. Deitch has posted the entire recording on his web site—among the songs Seeger performed that night was the Israeli folk song “Tzena Tzena,” which he sang in Hebrew. Seeger’s influence in the Czech music scene stretches well beyond bluegrass. The Malina Brothers CD launch was my second in the country in recent weeks. In December, I helped pop the bubbly in Prague for the launch of a CD of Ladino tunes called “Songs from the Sephardic Tradition” by the new band Kon Sira, another project with which Lubos Malina, the award-winning banjoist of the Malina Brothers, is involved. 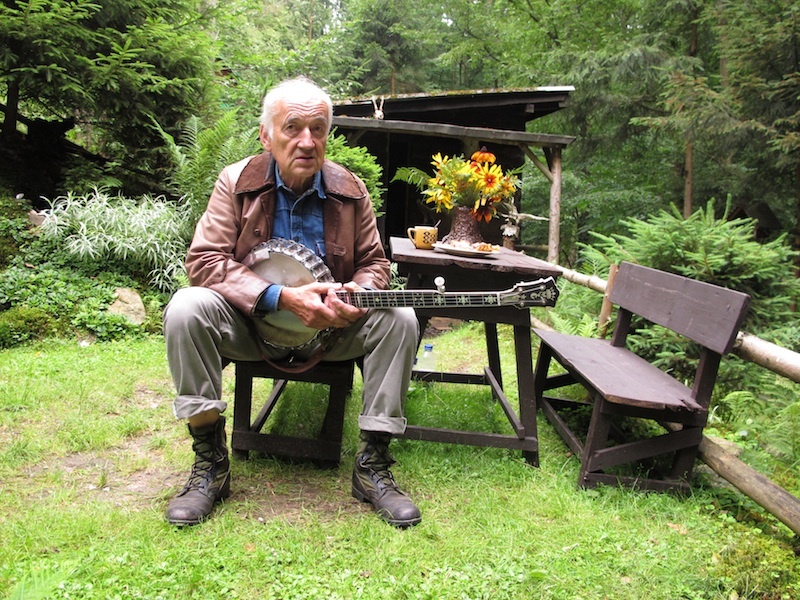 Malina, who turned 55 the day Pete Seeger died, was only a boy when Seeger played Prague in 1964, but he first heard bluegrass and banjo music from the generation of Czech musicians that Seeger had directly influenced. In a way, this makes the Kon Sira Sephardic project, too, a direct legacy of Pete’s performance half a century ago. In the Czech Republic, the launch of a CD is called a “křest” or “Christening.” Kon Sira’s leader, the Ladino scholar and singer Katerina Garcia, thought this would not be good form for a CD of Jewish music — so in the video below you can see her explaining this in Czech to the audience at the launch, and then me reciting the Shehehiyanu prayer. 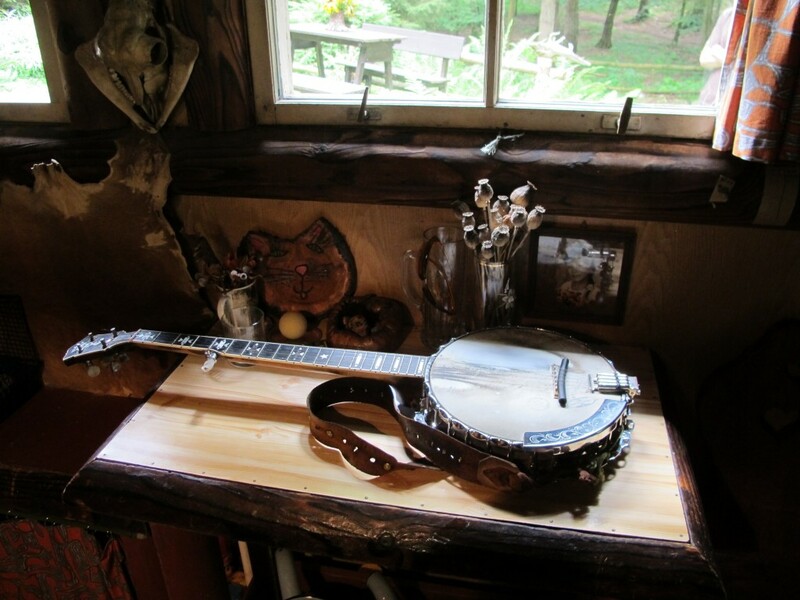 This entry was posted in Articles, bluegrass, czech bluegrass, imaginary wild west, music and tagged czech bluegrass, Czech Republic, music, Tablet Magazine by Administrator. Bookmark the permalink.